If you or your teenager are experiencing dental pain from wisdom teeth, Dr. Glenn Green offers safe and comfortable wisdom teeth removal to help eliminate potential oral health problems. Many teens and adults develop a third set of molars called wisdom teeth. These are the last teeth to grow in and if they develop correctly, they provide additional chewing power and spare teeth in case other molars are lost. However, many times wisdom teeth are impacted and require removal. An impacted wisdom tooth means it has not fully erupted through the gums and is not in the proper position to work with the other teeth. Most commonly, an impacted wisdom tooth is partially covered in bone and partially exposed in the mouth. But sometimes, the wisdom tooth is only covered by the gums, or, it may be completely encased in bone. 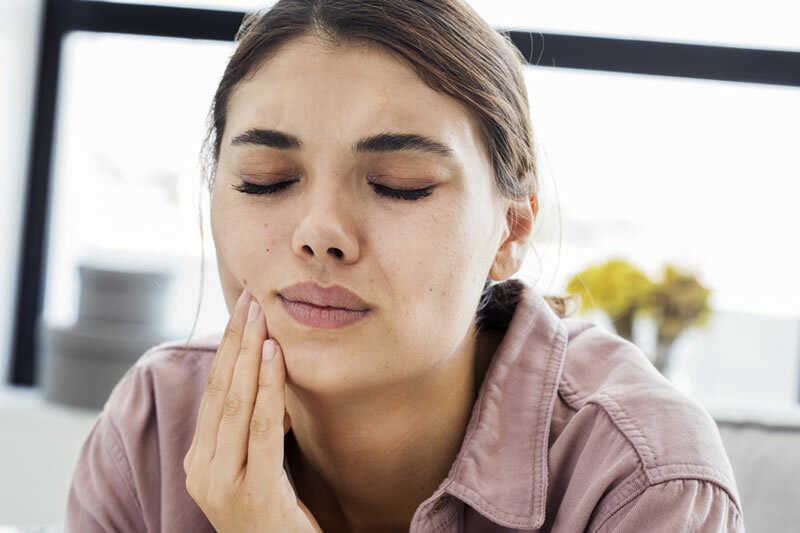 Impacted wisdom teeth may also lead to complications with the second molars such as bone loss behind the molars, or root resorption which can lead to tooth failure and the eventual need for extraction. Dr. Green will discuss anesthesia options with you at your pre-surgery consultation. We offer varying levels of anesthesia based on the extent of surgery needed, the patient’s ability to tolerate the noise of the surgery, and their overall health. For wisdom tooth removal, Dr. Green recommends general anesthesia for the comfort of the patient. Wisdom teeth can be difficult to extract and many patients don’t tolerate the noise of the instruments or the feeling of pressure from removing the tooth. For simple extractions of just one tooth, most patients can tolerate the procedure with only local anesthetic. See our Dental Anesthesia page for detailed information about the different types of anesthesia we offer. It is common after any type of tooth extraction to experience some pain, swelling, and discomfort. Usually, this starts to subside after 72 hours. You will be sent home with a pain medication prescription to help with the discomfort. Generally, you can expect to feel better in 3-4 days, although, it can take several weeks for the surgical site to heal. Individual recovery rates depend on many factors, such as the patient’s age, general health, oral health, and whether the patient follows post-op instructions. You will be provided with post-operative instructions after your surgery. It is very important to follow the instructions carefully to avoid complications. If you don’t understand the instructions or have questions, please call our office. Although rare, with any type of tooth extraction, there is a risk of complications such as dry socket, infection, or fractures. After surgery, some patients may develop what is known as dry socket, or alveolar osteitis. Dry socket is painful inflammation of the bone of the empty socket, not an infection. For unknown reasons, some people develop dry socket even if they carefully follow post-op instructions. If you think you have dry socket, please call our office. Relief from pain is possible with medication packed into the socket. Sometimes infection develops where the tooth was extracted. The infection must be treated with antibiotics and may require surgical treatment to drain the infection. If you develop a fever of 100.4 or higher after surgery, call our office immediately. There are additional complications associated with wisdom tooth extraction: damage to the inferior alveolar nerve leading to numbness of the lower lip and chin, fracture of the maxillary bone creating a hole (fistula) leading to the maxillary sinus, or fracture of the mandible. These complications are very rare and often temporary. In older patients, particularly those with severe osteoporosis or taking bisphosphonate medications, the jaw may fracture either during surgery or sometime afterward. This type of fracture requires hospitalization and surgical repair. Bone grafting may also be required to aid healing and prevent future fractures. How can I get in touch with you after hours? 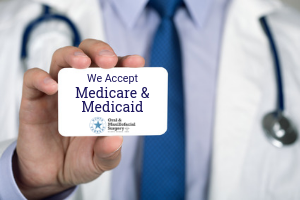 Call our office at (817) 237-7557. The after-hours phone message lists a phone number to call to speak with the doctor or a staff member at any time, any day of the week. How much time off do I need? Typically, 1-2 days off work is sufficient. When can I return to sports or strenuous activities? You can return to strenuous activity the day after your surgery unless you have a bleeding disorder or take blood thinners. If that’s the case, wait 2-3 days to allow time for healing to begin. What do I do if I have a fever? If develop a fever of 100.4 or higher, measured with a thermometer, please contact our office immediately. You may have an infection which requires antibiotics, or in severe cases, hospitalization. Before you visit another doctor or emergency room, please speak with Dr. Green or a member of his staff. What should I do to help reduce the swelling and pain? Use ice packs on the face over the area where teeth were removed, 10 minutes at a time, for the first 24 hours, then use heat packs for 2-3 days. How long with the swelling last? It’s normal for swelling to increase for the first 72 hours after surgery. After this period, the swelling will begin to decrease, but may take up to 2 weeks to fully dissipate. What can I eat after wisdom tooth removal? Avoid foods such as pretzels and chips, spicy foods, and alcohol. Otherwise, whatever you want to eat is fine, unless specifically told otherwise by Dr. Green or staff. To schedule a wisdom teeth removal consultation with Dr. Green, contact North Tarrant Oral & Maxillofacial Surgery by calling (817) 237-7557.